What Distinguishes This Chair From The Hundreds Of Others? APEX AP Pro Regent: 7 Features To Know About! Here’s What I Think About This Chair! How Does It Compare To Other 4D Chairs? But Here’s Where It Lacks! APEX AP Pro Regent Vs. Osaki 4D Pro JP Premium: Which One Should You Buy? 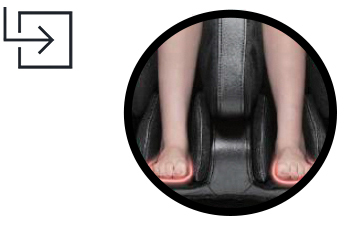 Revolutionary 4D Rollers Provide The Best Possible Massage Chair Experience! 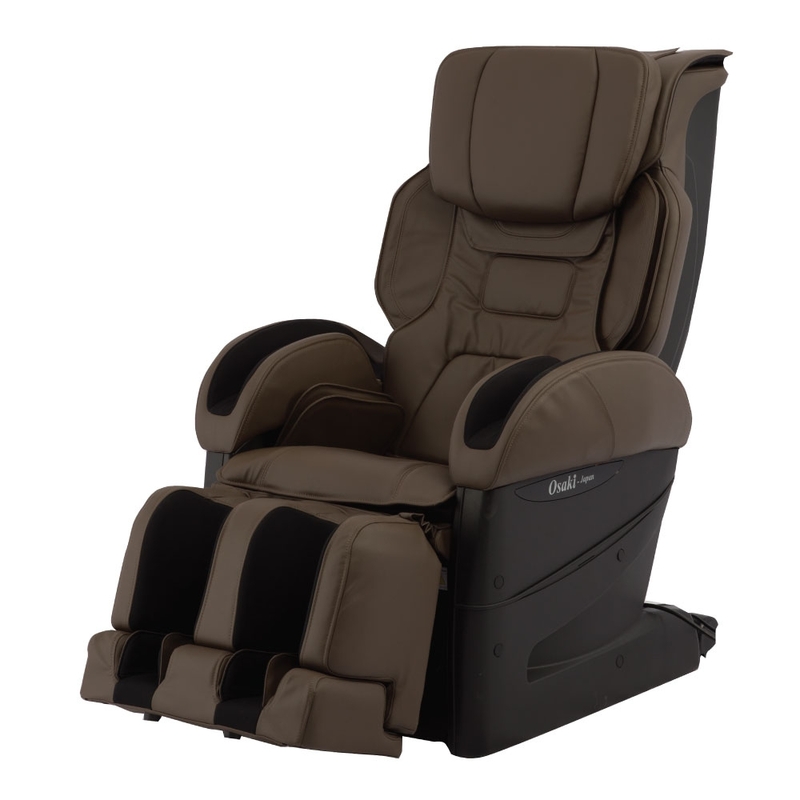 With 11 Massage Modes To Choose From, This Chair Never Gets Boring! 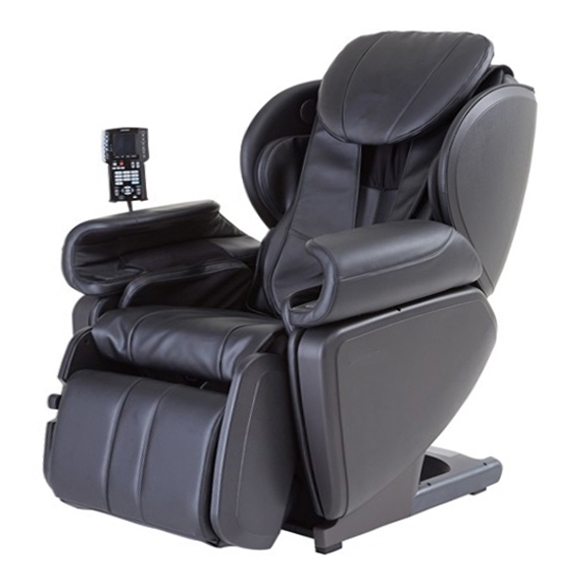 Considered to be APEX’s flagship model, the Pro Regent is a high end massage chair that’s designed by Japanese engineers. The chair itself however is made in China, even though it ships from the distribution facility in the US. Pro Regent is one of the very few massage chairs currently on the market that’s equipped with 4D rollers. This allows it to massage at very deep intensities. On a scale of 1-10, it can perform at intensities ranging from 7-10. Now let’s look at some of the key features of this chair. Later on, we will do a comparison against one of Osaki’s famous 4D chair! “S-Track” and “4D” are terms that will make sense to those of you who have some familiarity with massage chairs. For the purpose of this review I’ll assume you have no clue what either of these terms mean! Let’s break them down so you understand what each of these mean. When we talk of “S-Track” rollers, we’re really talking about rollers that contour to the back’s natural “s” shape. In other words, S-Track rollers are those which have been designed to track the back’s natural curvature. Moving on to 4D rollers. In order to appreciate 4D rollers, you need to have an understanding of both 2D and 3D rollers first. When you hear 2D rollers, you should immediately think 2 dimensions, because 2 dimensions describe the roller motion. 2D rollers move side to side and up and down. If you think back to math class, think x-y axis! 2D rollers move in 2 dimensions; 3D rollers move in 3 dimensions. In addition to the up/down and side to side movement, 3D rollers can also move in and out of your back. In math class, this would be your x-y-z axis! Now that you have an understanding of 2D & 3D rollers, let’s discuss 4D rollers. 4D rollers are the same as 3D rollers with one major distinction: the roller speed and rhythm is automatically coordinated and controlled in a 4D chair. What difference does this make? A big difference! It’s kinda hard to explain in words, so below is a video that highlights the differences between 3D and 4D. Make sure you watch before proceeding further! As far as automated massage is concerned, 4D rollers is the closest you can get to mimicking the hands of a trained therapist. The roller movements feel natural and have a sense of rhythm to them, whereas in 3D and 2D everything feels very repeatable and automated. Also, in 4D chairs the body scanning is much more detailed and comprehensive in comparison to 2D/3D chairs. The resulting mapping of an individuals body is therefore more effective in 4D chairs. Describing the difference is difficult because it’s something you really need to experience to fully understand. However, 4D rollers are far superior than 2D and 3D, that there is no doubt! If you’re a fan of heated massage, you’re gonna love this! The APEX AP Pro Regent massage chair comes with a “heated blanket” that can be placed either in front or behind your body. What’s neat about this “blanket” type setup is that it offers 60% more heated surface area than your conventional lumbar heating pads (what most chairs use). If you place it behind your back, you get heat coverage all over, not just on the lower back area. If you leave it on the front, you can stick your hands in the pockets for extra heat! 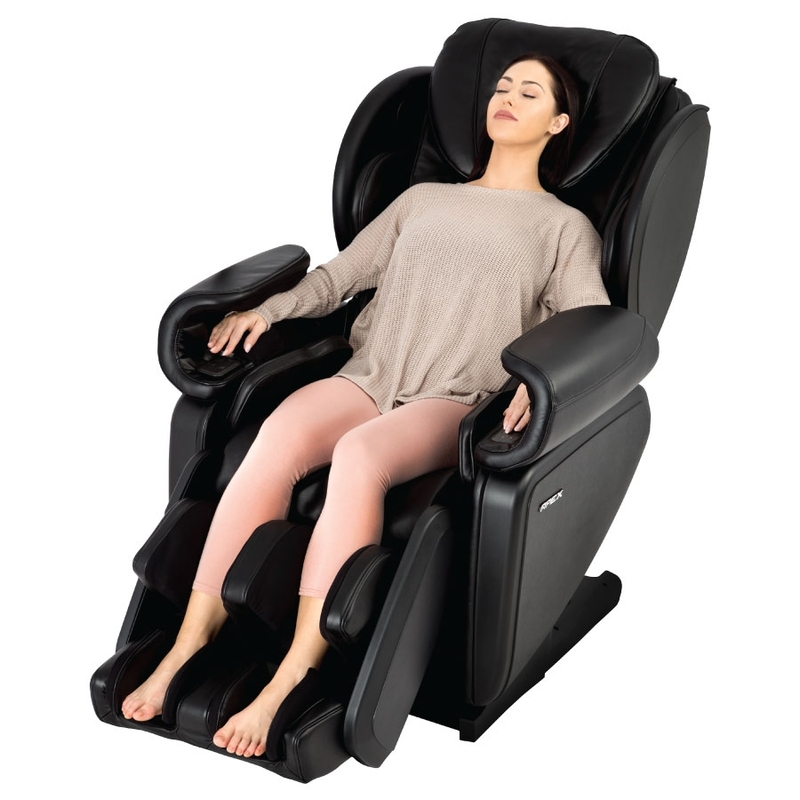 On the topic of heated massage, this chair also has heating pads on the foot soles, so your feet are nice and toasty during massage! They’re all designed with a reduced number of airbags; this isn’t something you see with other chair manufacturers such as Osaki or Titan. Most people see a low airbag count and immediately think this is a bad thing. No it’s not! On the contrary, fewer airbags can actually have a positive impact to a chair’s design. It can lead to a reduction in valves and motors, and possibly a reduction in power consumption. Also, with fewer airbags you reduce the number of total working parts, so in essence you reduce the chair’s defect probability. APEX have done really well to design their airbags such that they have a high surface area coverage. 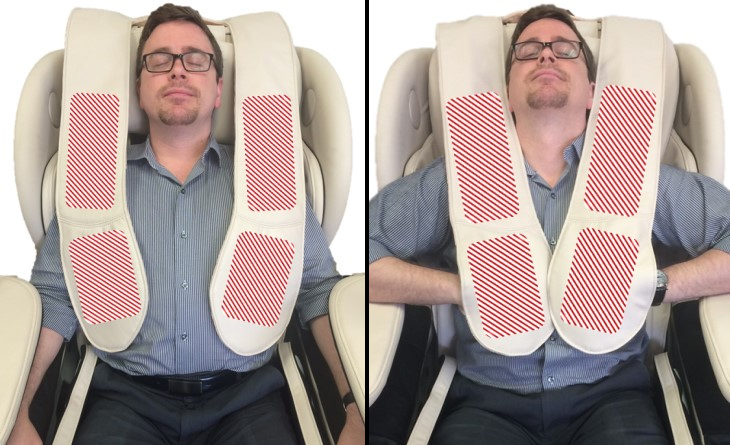 This ensures you still get a solid, well targeted compression massage with fewer airbags. Memory is a feature only a handful of massage chairs have. 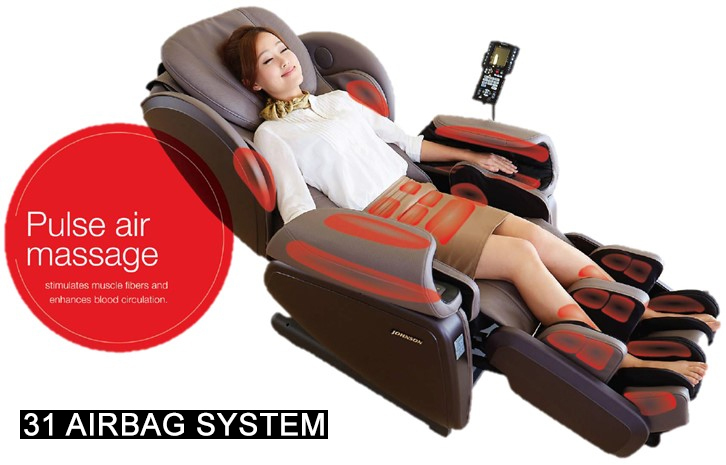 It’s the ability to save customized massage into the chair’s memory program for future use. Is this an absolute must have? Maybe not a must have per say, but definitely a very good feature nonetheless! You’ll find yourself using the pre-programmed auto massage modes more often than not, so manual mode is not something you should be overly concerned about. However, there will come a time when you’ll want to experiment and really test the chair’s capabilities, and that’s where manual mode and the ability to save customized massage could become useful. 12 is the most number of auto modes I’ve yet to see in a massage chair. That being said, 11 is pretty darn impressive if you ask me! What are these 11 auto modes, and how do they work? Refresh, shiatsu, morning, relax, energize, night, stretch, lower back, quick, shoulder, and music make up the 11 auto massage routines. They can be accessed or enabled by the push of a button on the remote control. Let’s look at each one in a little more detail. Refresh—A light tapping routine that massages from neck to lower back. If you like low intensity, try this out! Relax—Another neck to lower back massage routine. This one employs kneading and rubbing techniques. Shiatsu—Shiatsu focuses on relieving pressure points. Expect a fairly high intensity! Morning—You won’t regret replacing your morning cup of coffee for this routine! Light to medium intensity massage. Night—A great routine to put your muscles in relax mode right before you hit the sheets! Stretch—A full body routine that uses the airbags to stretch and twist the body. Refreshing to say the least! Energize—Uses various techniques to massage and relieve achy muscles. Another neck to lower back routine! Shoulder—Finally a shoulder massage routine! If you have tired, achy shoulders, you’re gonna love this! Lower Back—Massage specifically focused on the waist, buttocks, and lower back. Quick—For those of you who are always on the go, try out this quick 5 minute routine! Music—Tapping style massage that syncs to the beat of your music! The APEX AP Pro Regent features a spring extendable foot ottoman. How does it work? Sit firmly in the chair, and then slowly push down on the footrest till it extends out. Stop pushing at the position where your legs feel most comfortable. In total the ottoman will extend out by 6.25 inches. This extended foot range contributes to the chair’s user flexibility, and as a result it can accommodate users ranging from 5’2 – 6’4 ft.
A simple yet really cool feature about this chair is the deep spot function. How does it work? Simply push on the deep spot button during massage, and the rollers will extend out further to apply a deep tissue massage to that specific area. This works especially well if you have sore spots on different parts of the back. It’s like an instantaneous intensity spike! Words don’t do it justice! Forget 2D and 3D, 4D rollers are what it’s all about. If you’ve ever sat on a 4D chair, you’ll know what I mean. The massage feels much more closer to a human hand than a mechanical contraption simply moving up and down your spine! You Gotta Love All Those Auto Modes! The more auto modes a massage chair has, the happier I am. When I get on that chair, the last thing I wanna do is mess around with manual settings. If I can get a massage going with a push of a button, nothing like it! The 11 massage modes keeps things fresh and exciting. When you get to the high end massage chairs, you can expect to pay upwards of $5K. In fact, $5K for a chair that comes with 4D rollers is absurd! The regular price for this chair is $7,595, but it’s currently priced at $4,995 on massage chair deals. I’ve seen 2D chairs that cost more! It’s nice to see massage chair manufacturers get innovative for a change. The same old boring “lumbar heating pads” wasn’t my thing. This heated blanket padding is fantastic because it not only allows for a larger heated surface area, but also gives the user a choice of placement. This one really had me disappointed. After reviewing one of Osaki’s 4D chair and seeing how it didn’t have foot rollers, I was desperately hoping this 4D chair would. Osaki, APEX, if you guys are reading, design your 4D chairs with foot rollers for Pete’s sake! At the present time there aren’t many 4D chairs in the market, so there isn’t much to compare against. To give you an idea of how this chair stacks up, I’ll be comparing it to the Osaki OS 4D Pro JP Premium. Roller Track—APEX AP Pro Regent has a larger track span (32 inches) in comparison to Osaki’s 4D Pro JP Premium (27 inches). Roller Protrusion—This is simply the distance a set of rollers can protrude in/out. Rollers on the Pro Regent can protrude a maximum of 3.5 inches, whereas the rollers on the 4D Pro JP Premium can protrude out by 4 inches. Roller Track Vs. Roller Protrusion: What’s more important? That’s a loaded question! Roller protrusion in many ways relates to massage intensity. The larger the protrusion, the deeper and more intense the massage will be. Roller track talks about how far the rollers can actually travel. A longer track means the rollers can traverse further down the back. If you wanna know my opinion, roller track is more important than protrusion! 4D Pro JP Premium is 100% designed and manufactured in Japan. The chair is made by a company called Fujiiryoki. On the flip side, APEX AP Pro Regent is designed by Japanese engineers but made in China. Why is it important to know where a chair is designed and made? Because chairs made in Japan are generally superior to chairs made in China. I’m not just referring to design by the way. Things like the parts and workmanship for Japanese chairs are of much higher quality than anywhere else! APEX AP Pro Regent has 8 motors and consumes 250 Watts of power under normal operation. Osaki’s 4D Pro JP Premium has 5 motors and consumes 135 Watts of power under normal operation. Is this something that should impact your buying decision? Absolutely! That’s almost twice the power consumption! I’d have almost thought that the 4D Pro JP Premium would have a higher power consumption given that it has 13 airbags more than the APEX AP Pro Regent. I guess the Japanese really take energy efficiency seriously! APEX AP Pro Regent is currently on sale for $4,995 with a 3 year warranty. 4D Pro JP Premium is currently on sale for $3,999 with a 5 year warranty. Difference in price is almost a full $1K! Difference in warranty period is 2 years! This is why I love Japanese chairs so much. Because they’re made from quality parts, they usually have longer warranty periods. APEX AP Pro Regent is the clear winner here. 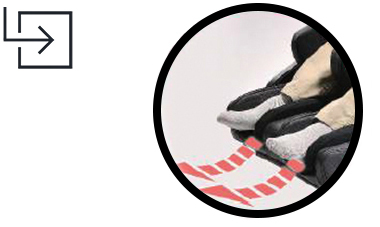 The blanket heating system I’ve been raving about throughout this post outdoes the conventional lower back and foot sole heating pads present on the 4D Pro JP Premium. There’s no comparison as far as heat therapy is concerned. APEX AP Pro Regent is the clear winner by a lunar mile! All of the above are in my opinion potential improvements that could make this chair even better. Coincidentally, both the APEX AP Pro Regent and the 4D Pro JP Premium are lacking in the same areas. Given that Osaki and APEX are run by the same folks, it does make a little sense! $1000 in price and 2 years warranty is what distinguishes these two chairs. Pro Regent has a longer tracking span with better heat therapy. On the contrary, 4D Pro JP Premium consumes almost half the power and has rollers that can protrude farther. Tough tough question to answer! After giving it much thought, my recommendation is to go with the Japanese engineered Osaki 4D Pro JP Premium! Enter “MAM5” During Checkout For An Extra 5% Off! The only time you should not go with the 4D Pro JP Premium is if you’re taller than 6 foot. Because this chair was designed in Japan, it was built to accommodate Japanese men and women. Keep in mind, average male height is 5’7 in Japan. Average female height is approximately 5’3. That being said, steer away from this chair if you’re 6 foot or more. When it comes to user flexibility, the APEX AP Pro Regent is the better choice, as It’s able to accommodate a wider height (5’2 – 6’4 ft.) and weight (265 lbs.) range. Before buying a chair, you should always think about who will be using it. Sounds a little silly, but it’ll save you from a ton of disappointment. Are your spouse and kids gonna be using it? Are your siblings gonna use it? Are your parents/grandparents gonna be using it? Answering these questions will help you determine which chair has the most suitable height and weight range. Seriously take some time to think about this stuff! The last thing you want is to have a chair that’s uncomfortable because it’s too small! The APEX AP Pro Regent is a fantastic chair with the best in roller technology. However, Osaki’s 4D Pro JP Premium has the edge in my opinion, so that’s what I recommend you get if you’re in the market for a 4D chair. You’ll notice I based my comparison on “like for like” i.e. one 4D chair compared to another. This is always how you should compare 2 chairs. 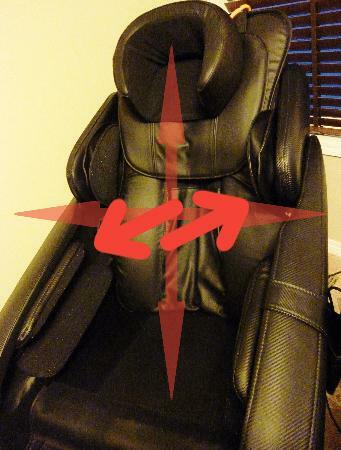 It would be wrong to compare a 4D chair to a 3D or 2D chair in my opinion. That’s because they’re different animals. 2D roller technology is separate from 3D/4D technology. As the saying goes, you’re not comparing apples to apples. In your quest to finding a massage chair, this is one rookie mistake you should avoid! I hope you got some value out of this post. If you did, please consider sharing on the socials. Lastly, if there’s anything I missed in this review, or anything more you’d like to know about this chair (or any for that matter! 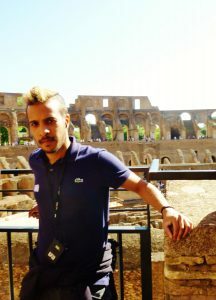 ), please reach out to me by leaving a comment below or sending me an email at support@massagersandmore.com.